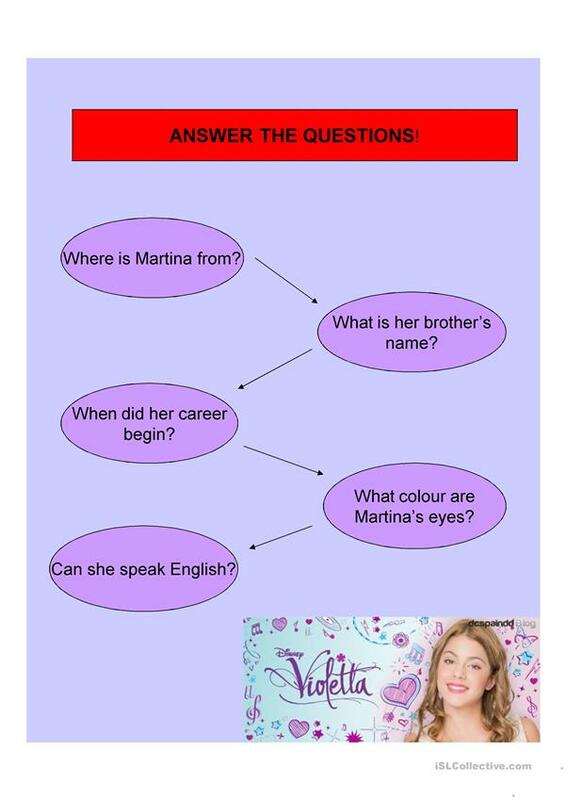 This activity includes facts about Martina Stoessel. Students are asked to read the article and answer simple questions. You may include additional questions and exercises. The worksheet can be used as a warm-up. There are some fan facts on the third page . It can be used to talk about countries and nationalities, age, (personal information). 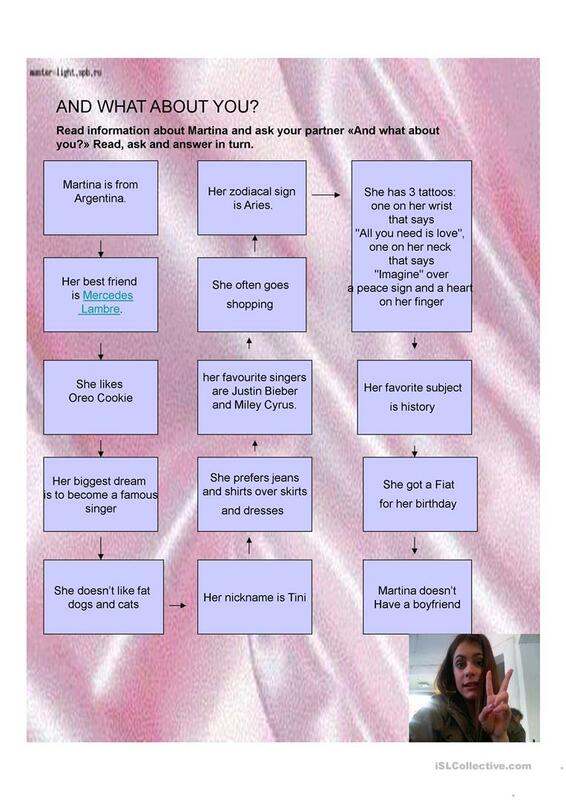 Students read facts about Martina and try to tell about themselves. The above downloadable worksheet is recommended for high school students at Beginner (pre-A1) and Elementary (A1) level. It is valuable for revising Present simple tense in English, and is a valuable material for developing your class' Speaking and Reading skills. It centers around the vocabulary topic of Describing people.